My Opening Day of baseball string continues, but in a little different way. After last year's debacle of extremely overpriced tickets and parking way far out due to tailgaters without a ticket, we saw the Rangers open on the road tonight. 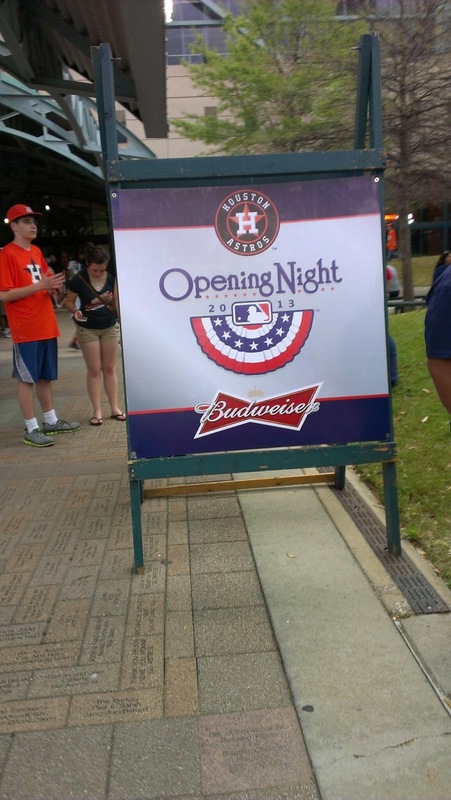 There were as many Ranger fans as Astros fans in Houston for the first game of all of Major League Baseball. 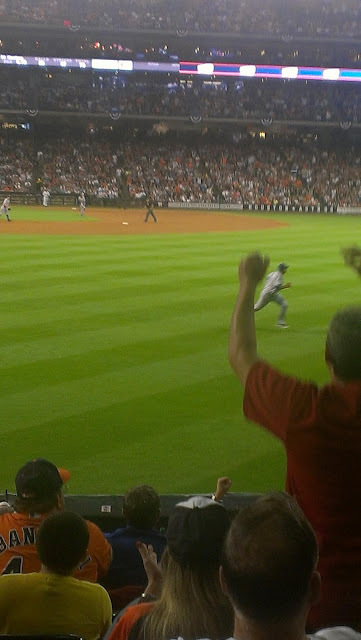 We were there for the Astros first game in the American League. By the way the Rangers were launching balls in batting practice, we thought it was going to be a great game for us. We were wrong. Very wrong. To the tune of 8-2. It was worth it, even though I had to drive through a crazy thunderstorm with hail. Nelson Cruz chasing down a ball, right after he flubbed up the play the last time the ball came to him. 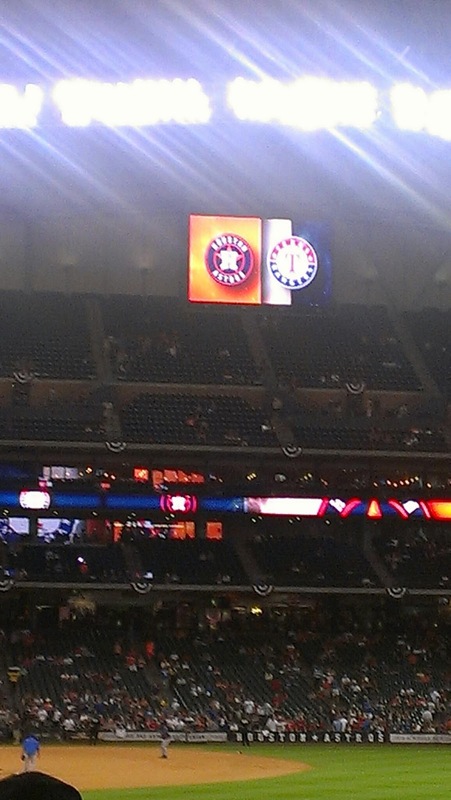 There's nothing like watching a ball game in air conditioning in Texas. They had to open the doors early because the thunderstorm was about to hit Houston.